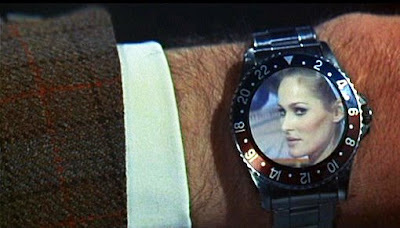 Ursula Andress is one of the most beautiful women that has ever lived. 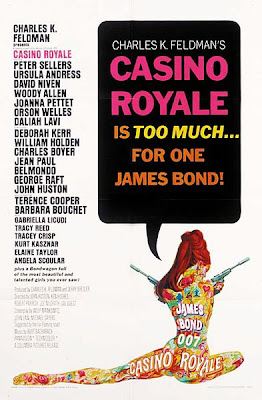 She co-starred in Dr. No with Sean Connery in 1962, then co-starred with Peter Sellers playing James Bond in the original Casino Royale spoof in 1967–Groooooovy Baby, Yeahhhh!!! 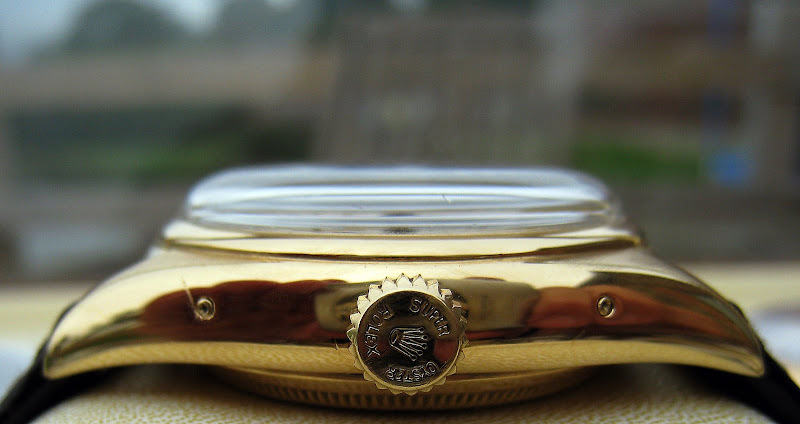 I always thought this watch watch that some have dubbed "The Ice" was yellow gold, but apparently it is white gold and it is extremely rare. 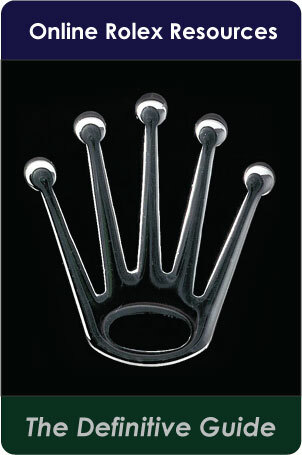 Apparently Rolex has made less than 25 of them and they don't publish the carat weight of the diamonds. 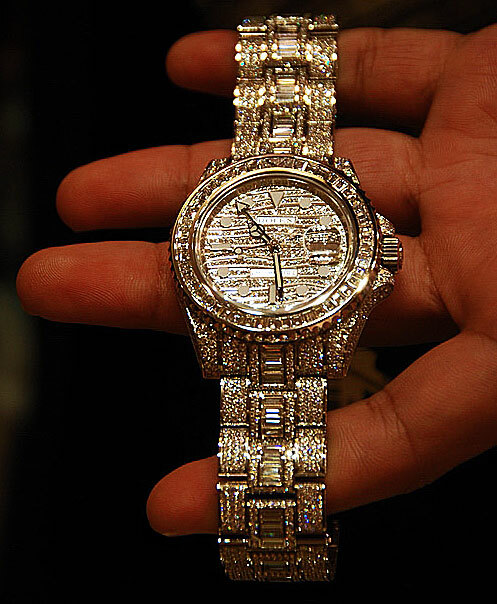 This brilliant sparkling wonder will set you back close to a half a million dollars. 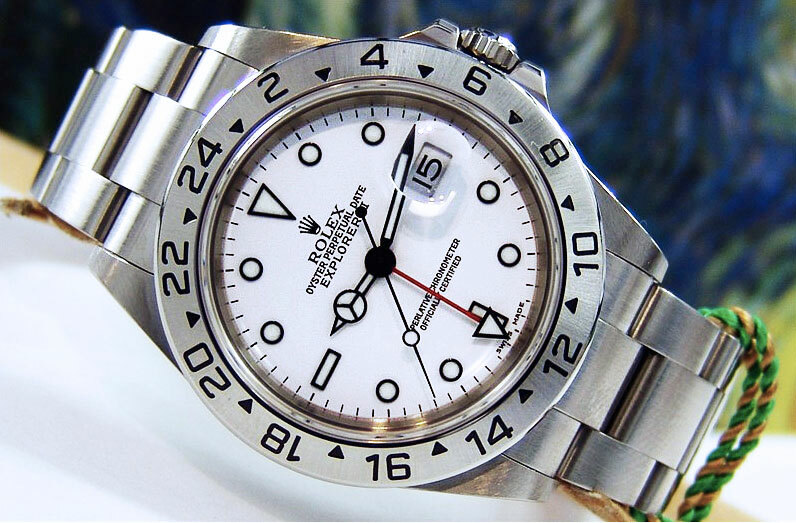 Courtney Cox who starred on the hit TV show Friends is pictured below wearing her men's 40mm rolex Day-Date in pink gold with the domed bezel. 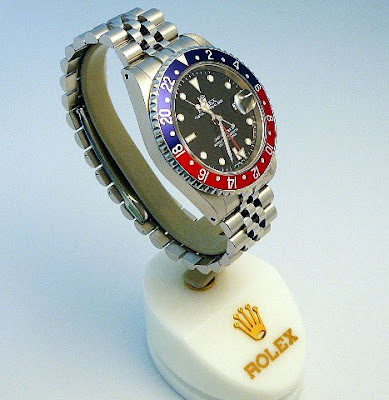 Today, women wearing Rolex Day-Dates is all the rage. 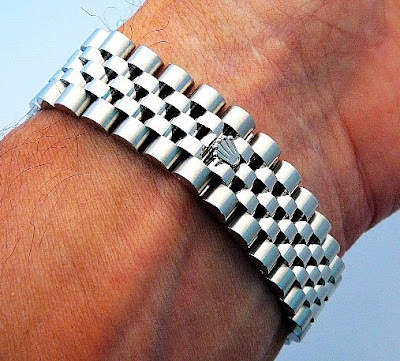 They typically wear them like a bracelet. 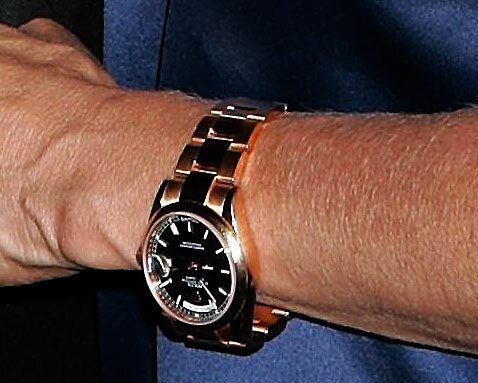 Courtney Cox's costar Jennifer Aniston has been seen on Jake's Rolex Watch Blog also wearing a Day-Date. 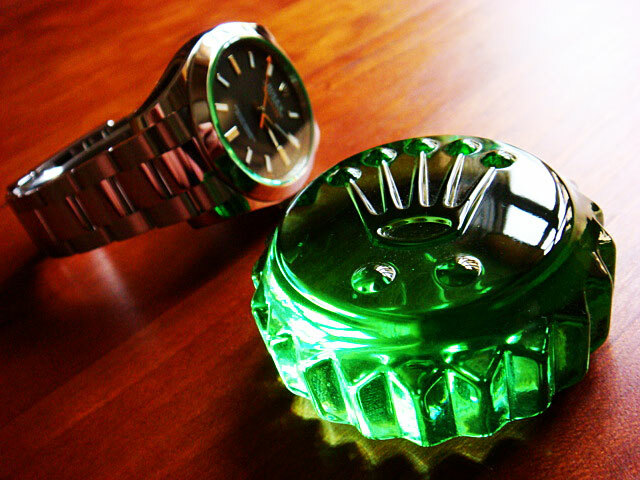 Bo (Space-Dweller) from Denmark took this great photo of his Rolex Milgauss GV next to his favorite Rolex Glass Paperweight. 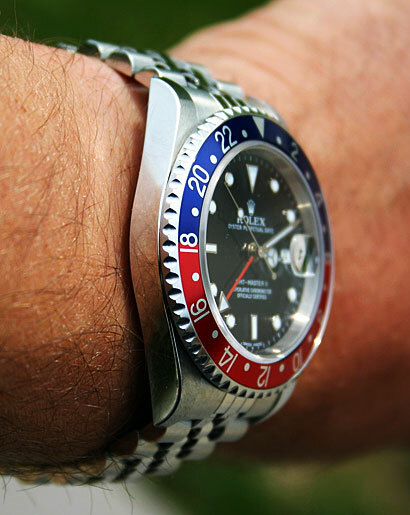 Dan Pierce owns a beautiful Pepsi GMT Master II that I showed off about 4 months ago. 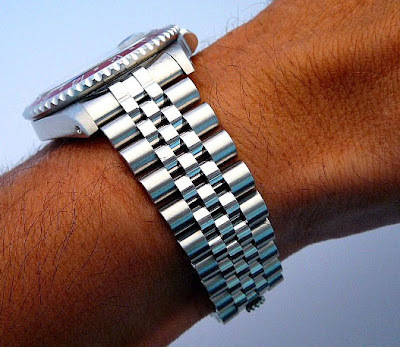 He added a new Jubilee bracelet with the hidden clasp to give his watch a new look and it is awesome as you can see. 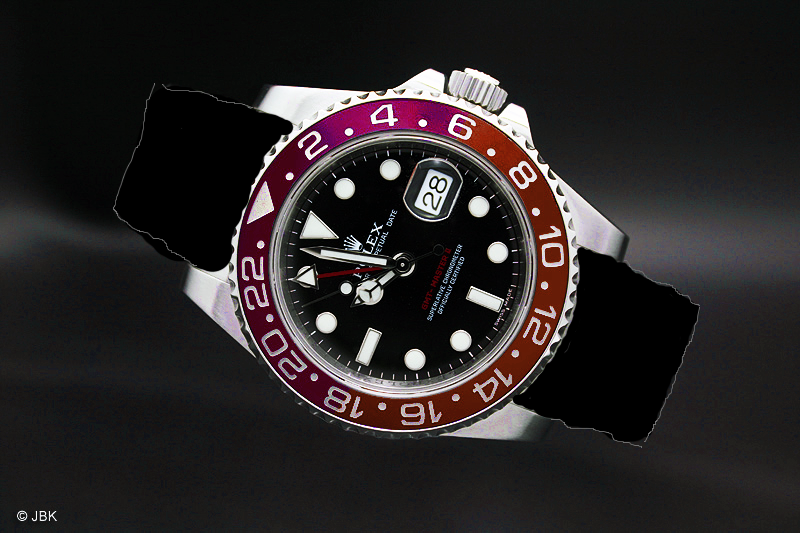 Dan wanted to switch up the vibe of his Rolex GMT Master II. 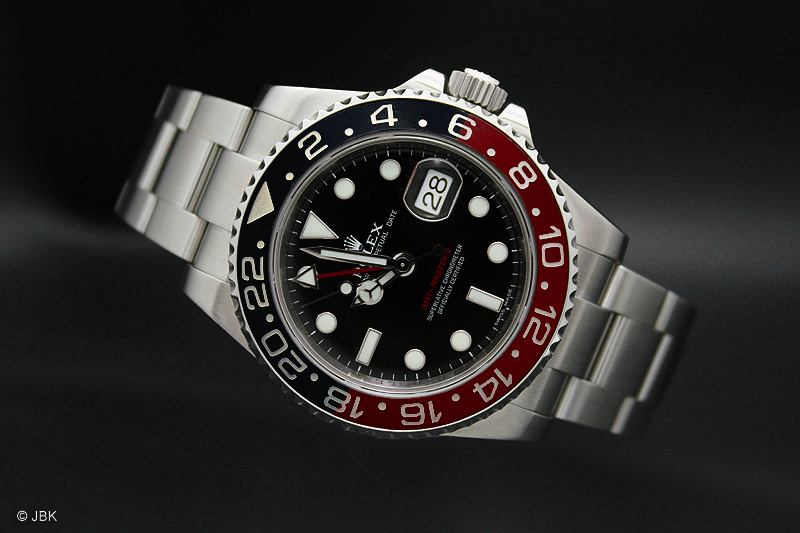 He thought the Pepsi bezel (blue and red) had more of a summer vibe so he added a Coke bezel (black and red) to give it more of a winter vibe. 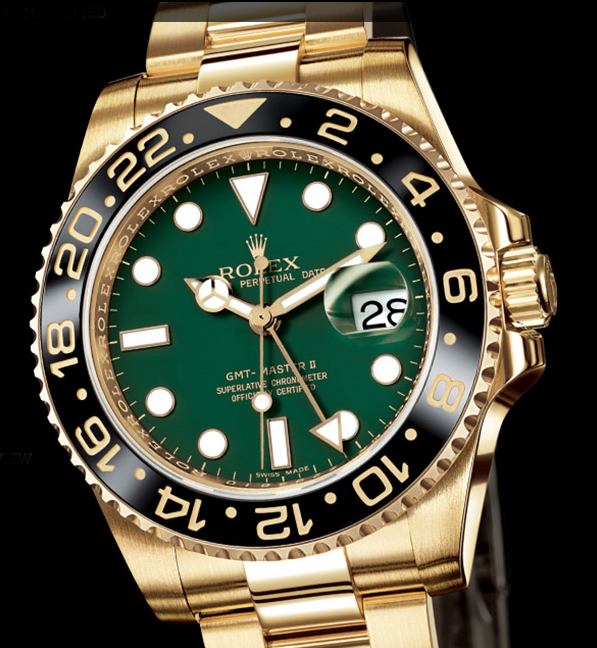 Yesterday I was on Rolex.com just looking around and I wandered into the yellow gold GMT Ceramic with the Rolex green dial with Maxi Markers and Supercase and this color combo just took my breath away. I have seen this color combo before, but yesterday it just really started singing to me. Just Beautiful!!!! 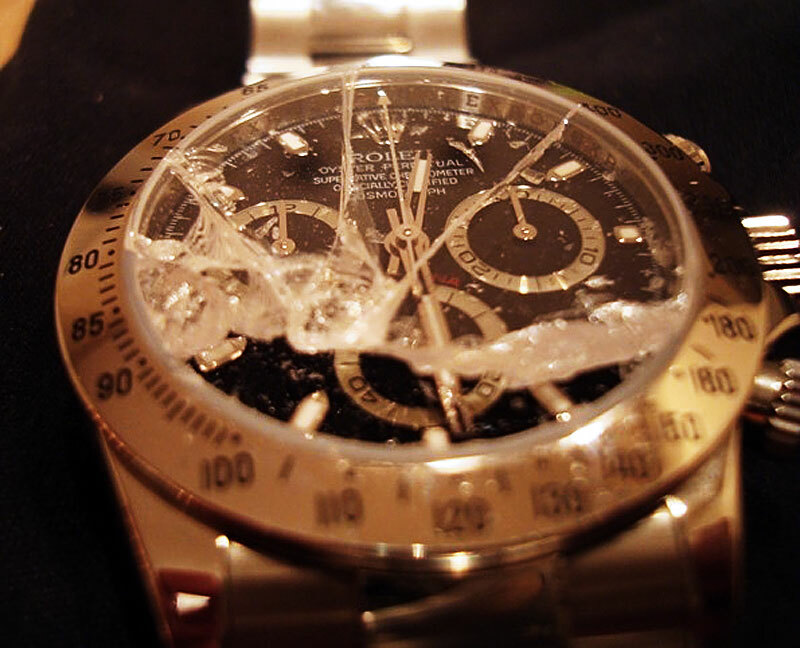 The more I look at this watch the more I like it. 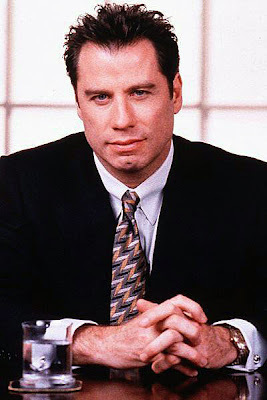 It seems to be conservative yet charismatic looking–kinda like Cary Grant or JFK. 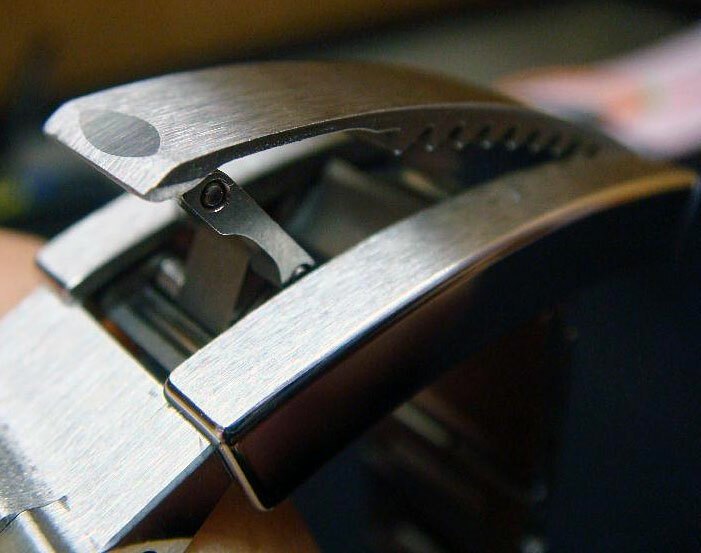 This watch looks so classic yet modern. 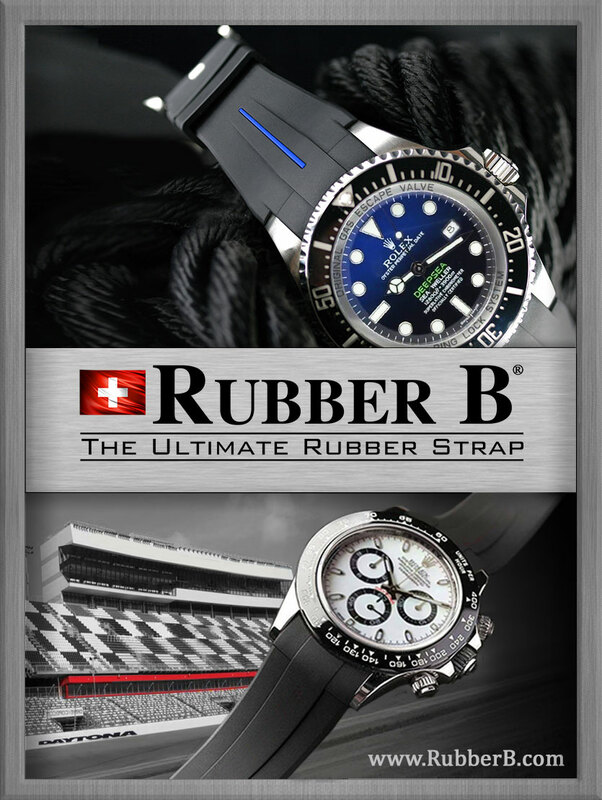 I think I like it because in a way it reminds me of my LV Sub in the sense that it is a three color watch–the LV having a green bezel with a black face on a stainless body. 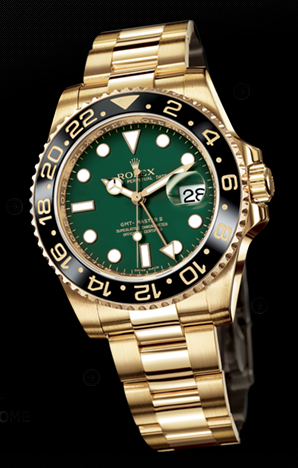 There is something really cool about the way the green and gold combo look. 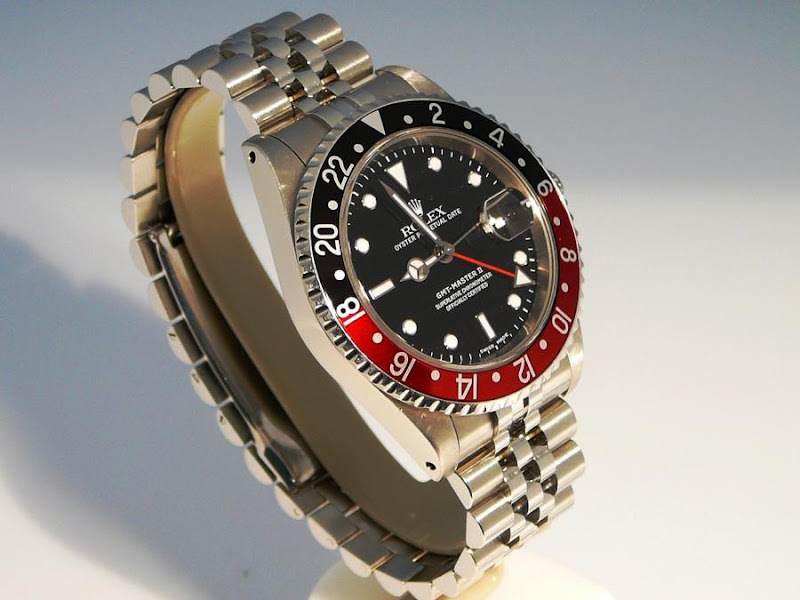 I know that at one point in the 1970s Rolex made a prototype Submariner with a green dial that was never sold or shown to the public, and I wonder if it looked something like this beauty? 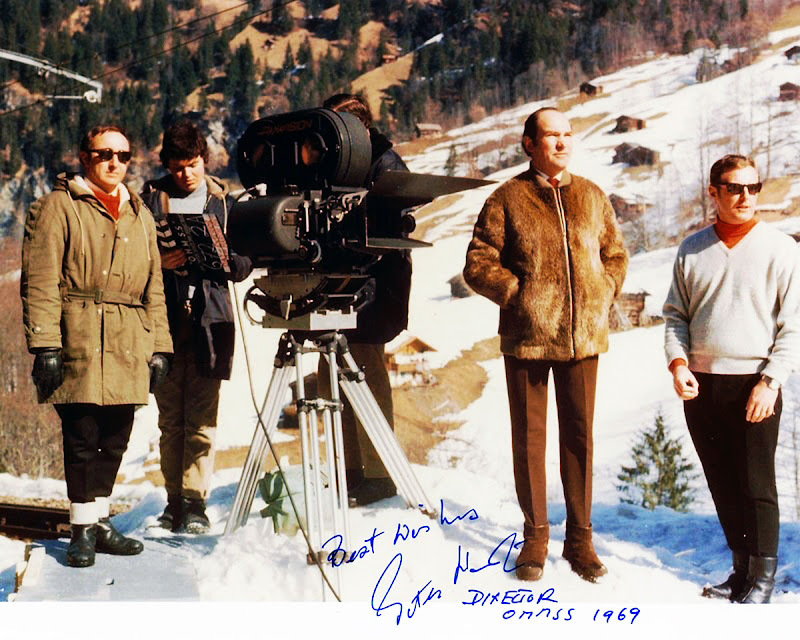 Jean Claude Killy as a Ski Stunt Double on the Set of the James Bond Movie "On Her Majesty's Secret Service." 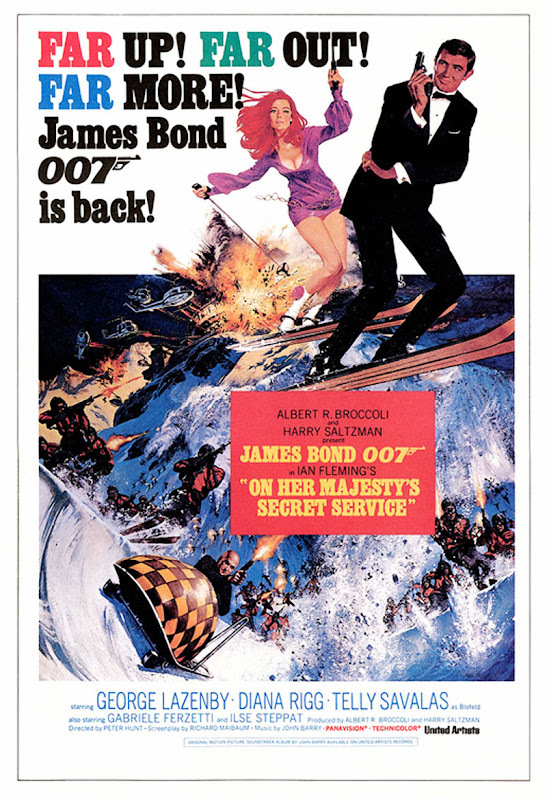 Jean Claude Killy is best known for being a three time gold winning Olympic skier that went on to appear in many great Rolex magazine ads and then on to become a member of the Rolex board in Geneva, but not many people know that he was a stunt-man skier in the James Bond movie "On Her Majesty's Secret Service." 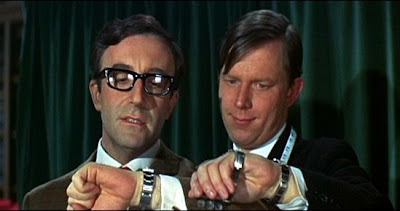 I think Jean-Claude is pictured on the far right below in 1969 along with Peter Hunt who was the director of the James Bond movie. Update: The guy who I think is John-Claude Killy in this photo looks heavier than John-Cluade so I am not 100% certain that is John-Claude. I will look into it and as soon as I confirm it one way or the other, I will update this post. 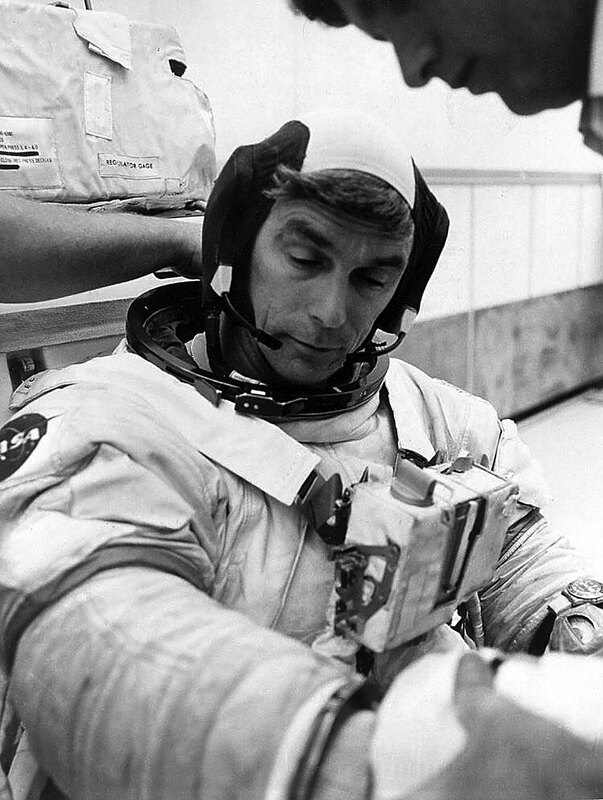 I must thank John Towns for sending in this image of Apollo 17 astronaut Gene Cernan wearing a Rolex GMT on the outside of his space suit. Spending time in the NASA archives is very time consuming and difficult for doing research. 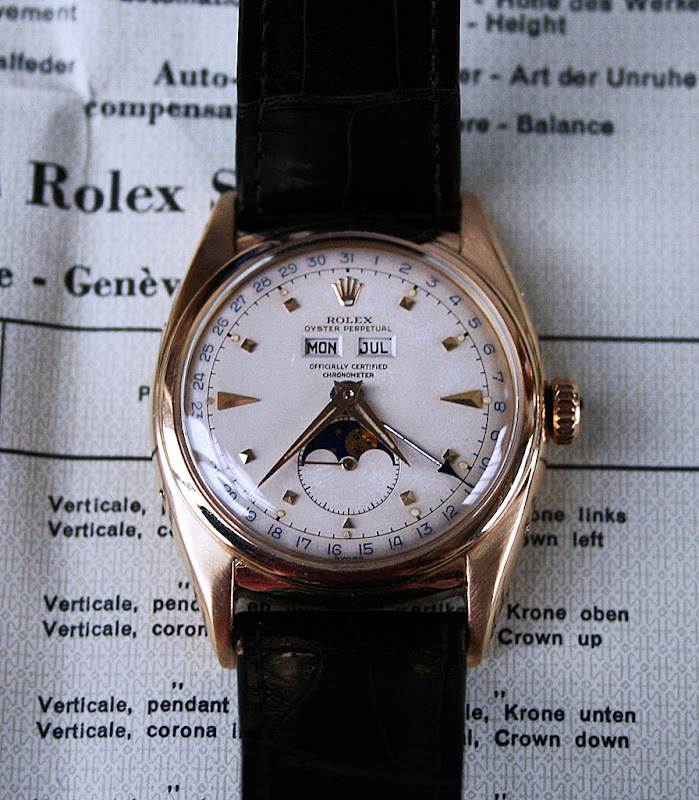 I refer to my pal John Towns as "Eagle Eyes" because he is so good at finding astronauts wearing Rolex watches. 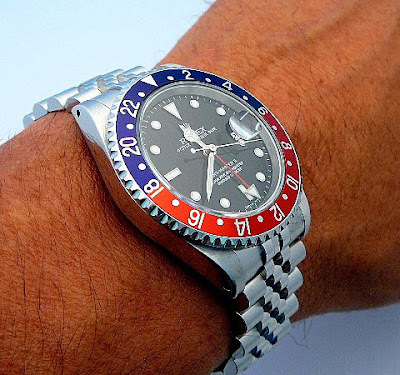 In the future we will be seeing more photos of NASA astronauts wearing Rolex that John found. 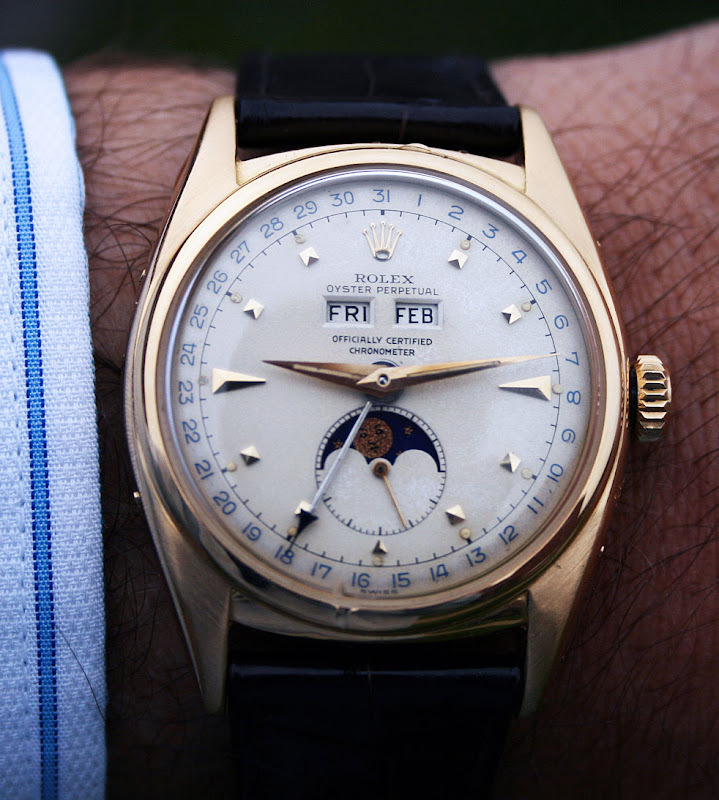 This photo of Gene Cernan wearing a Rolex GMT Master on the outside of his suit is particularly fascinating. Why? Because we have seen many NASA Apollo astronauts wearing Rolex GMTs on their wrist but never have we seen a NASA astronaut wearing a Rolex on the outside of their spacesuit on a velcro strap. If Omega was the official watch of NASA then I would argue that Rolex was the official watch of the NASA astronauts because we have seen so many photos of them wearing Rolex watches on Jake's Rolex Watch Blog. 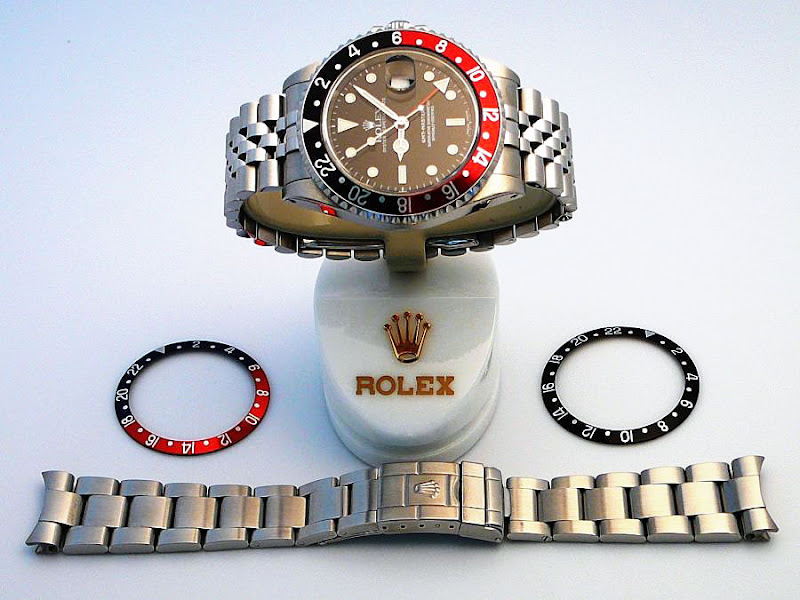 I have much more fascinating Rolex on NASA Astronaut stories, photos and podcasts coming up!!! 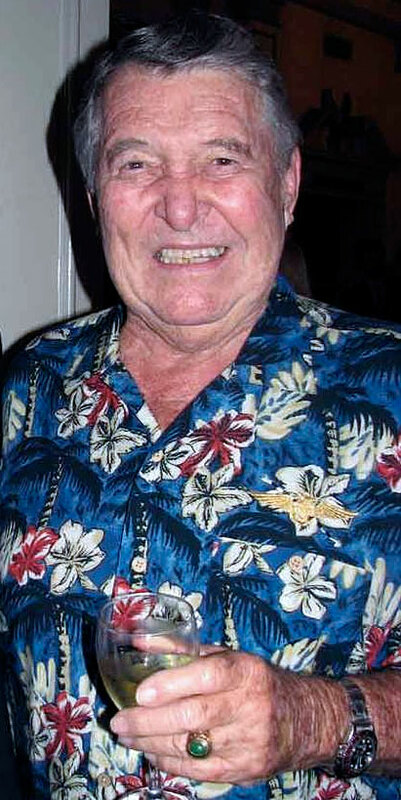 Wally Schirra was one of the greatest NASA Astronauts in history. He began his NASA career as one of the Original 7 of the Mercury program where he flew his Sigma 7 on a six orbit mission. Then he flew on Gemini 6A with Tom Stafford, and next on Apollo 7. 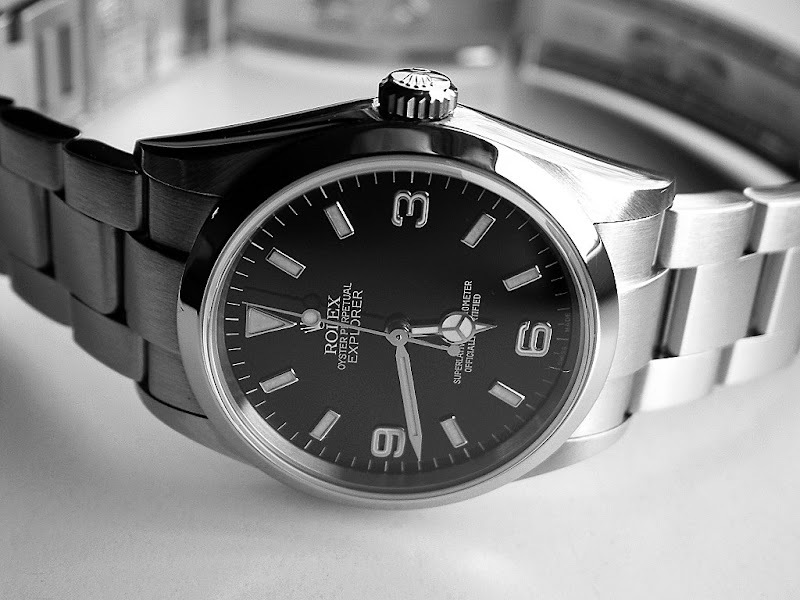 Gerard from the Dutch Netherlands sent in this photo of his Rolex Explorer. 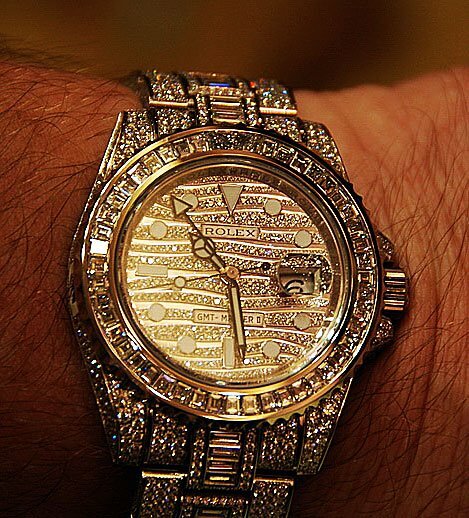 Gerard said "This photo is the very first one I took after I bought my Rolex Explorer and it is still my favorite!" 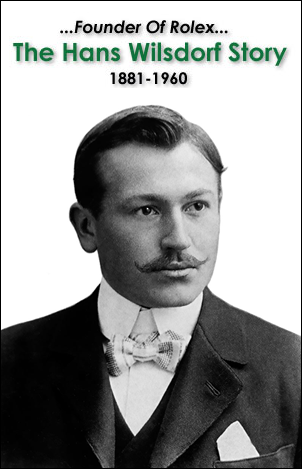 A very big thank you and a whole-hearted admiration for your superb website. 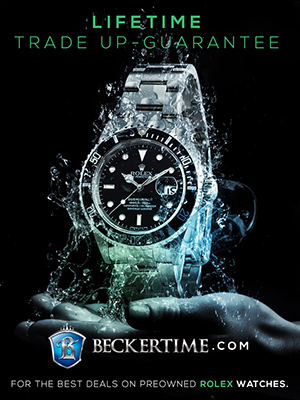 It seems to me like the Holy “Watch” Grail finally has been found with Jake's Rolex Watch Blog – and I’ve already invested a significant amount of time dwelling and browsing through many of your fantastic articles. 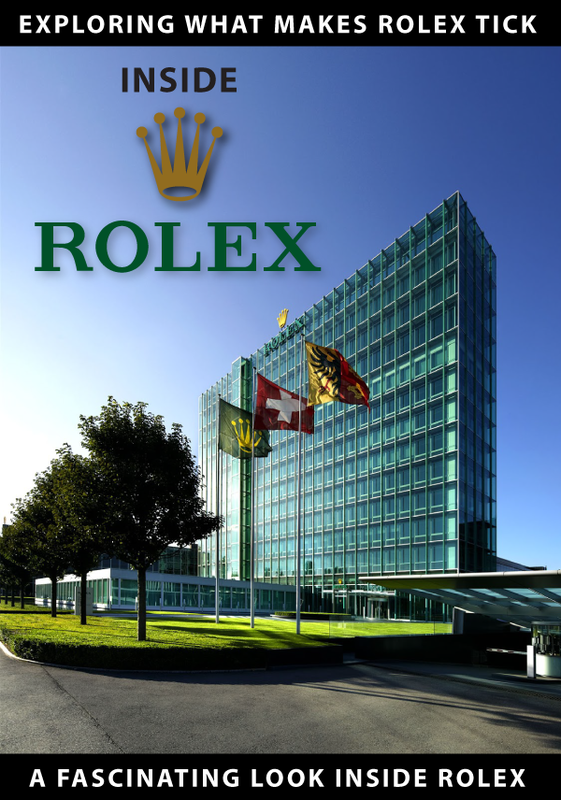 There are many great sites on the Internet with loads of Rolex articles – but, in my humble opinion your Rolex Watch Blog is the most comprehensive regarding articles, photos, history, podcasts etc. Here is Denmark we see a growing market for mechanical watches, especially high-end models. 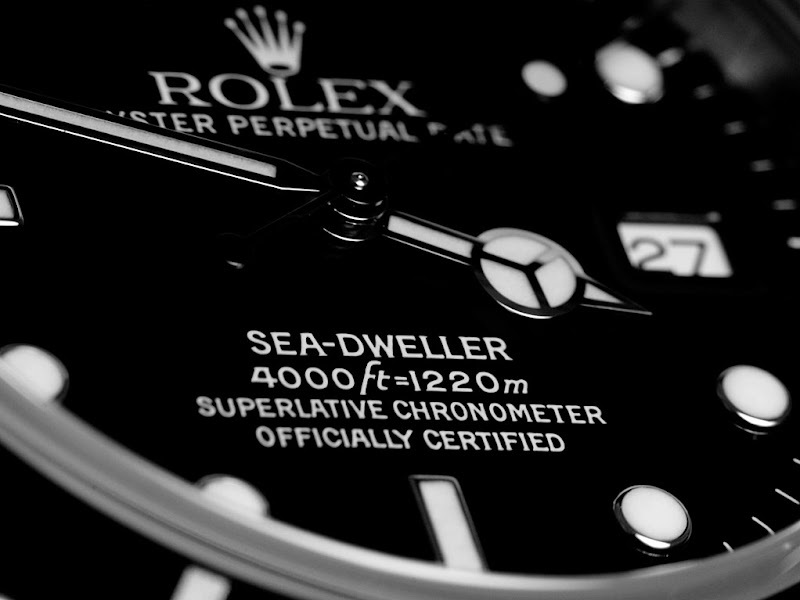 It’s really difficult to describe, but every time I look at the Sea-Dweller, I know it is just the right model for me. 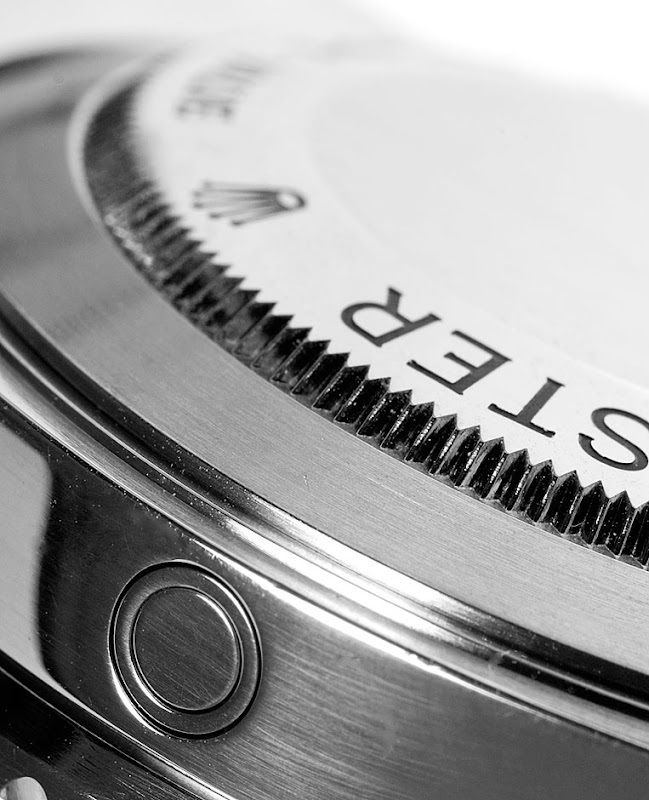 I like the cleaner look – without the cyclops date lens the Submariner has. 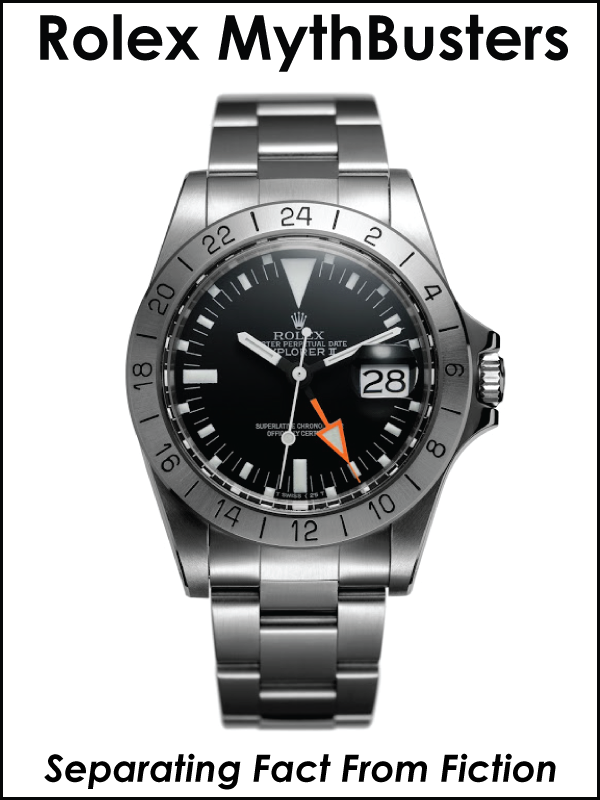 Also the overall size is perfect for me - I think that the new Sea-Dweller, Deep Sea will appear way too big on my wrist. 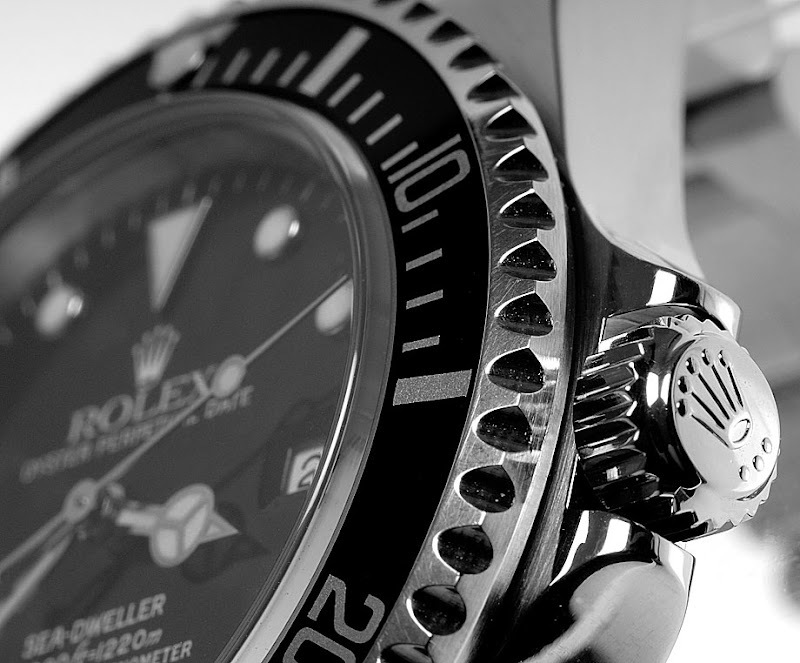 I would love to share some B/W images I took of my Sea-Dweller with my Nikon D2x/105 f2.8 macro. 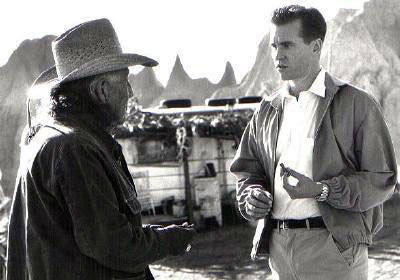 Again – thanks for sharing your huge knowledge and research work. 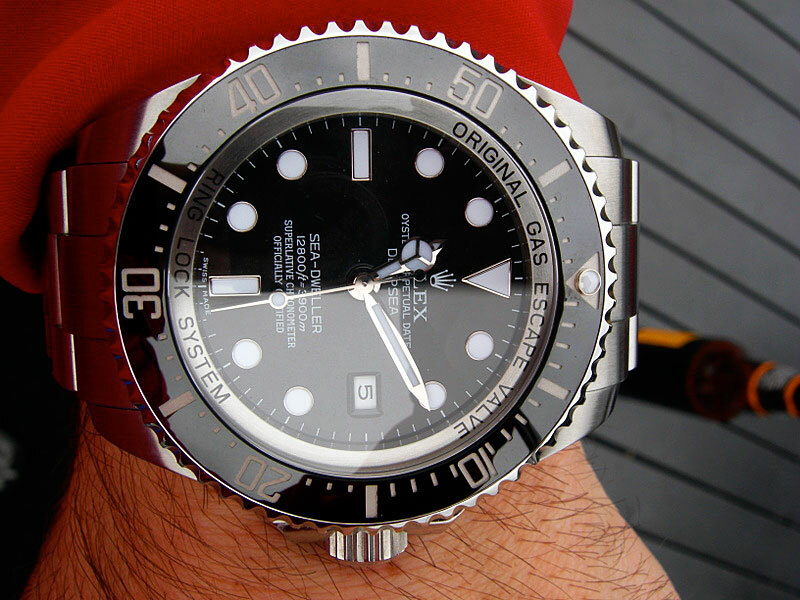 Could this be a photo of Jacques Cousteau wearing a Rolex Submariner? 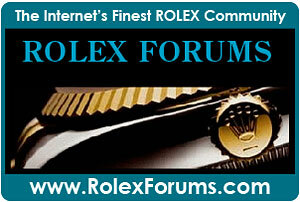 Gerard who goes by GJ in some of the forums sent me an email to say how much he is enjoying Jake's Rolex Watch Blog. 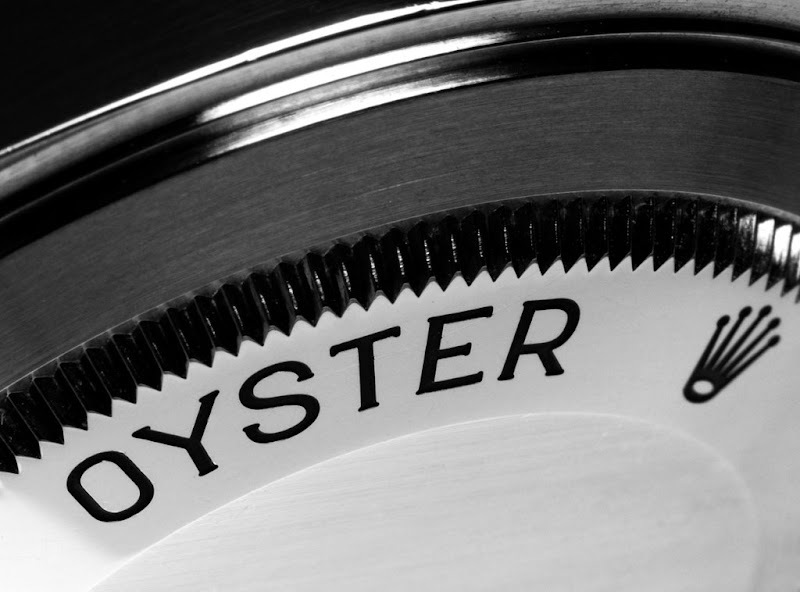 He also reminded me of an excellent French site named Military Watch that has a page dedicated to examining the watches of Cousteau–which you can visit by clicking here. 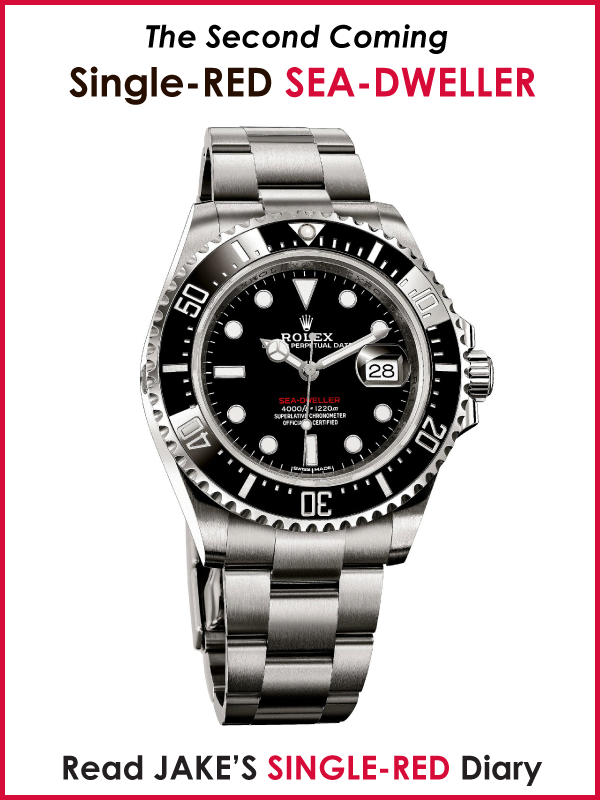 On the "Cousteau and Watches" page of the French Military Watch site the writer (whose name I can't find) suggests Jacques Cousteau is wearing a Rolex Submariner in this 1955 photo/screen capture from Jacques Cousteau's movie named "Silent World." 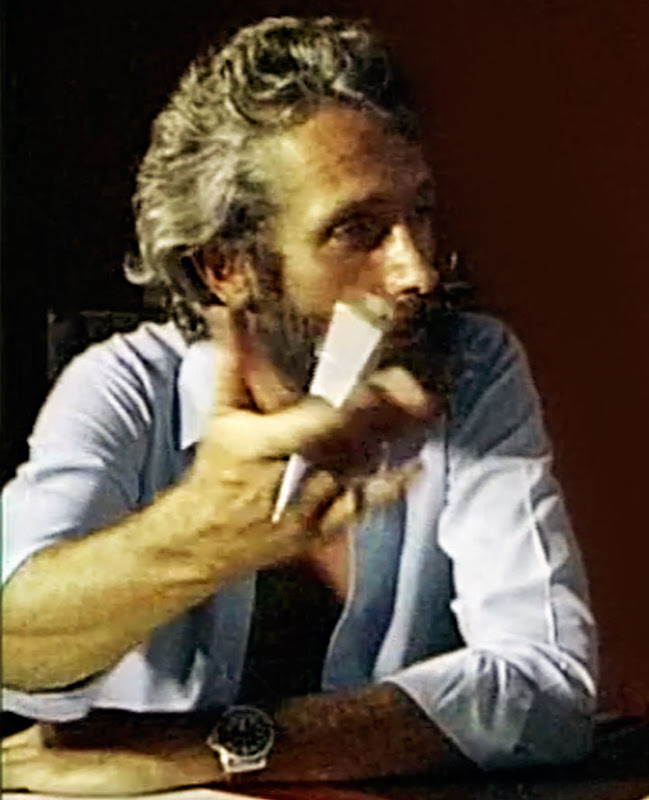 Silent World was the first of 3 oceanographic Jacques Cousteau movies to win an Oscar. 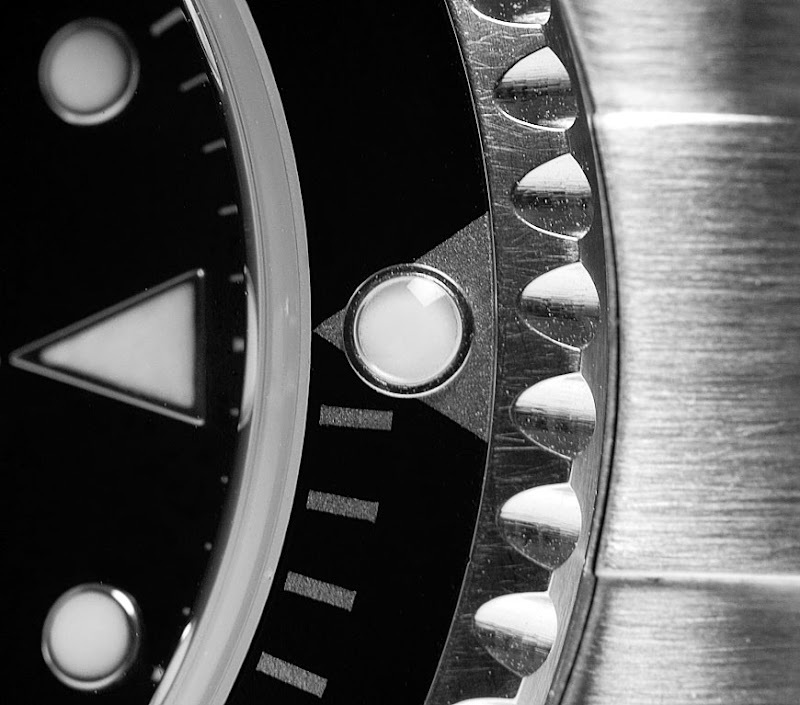 It is difficult to tell from the photo with 100% certainty, but to my eyes I would say it really looks like a Submariner. 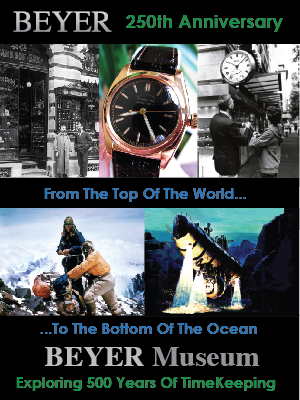 I have been doing quite a bit of research lately on Jacques Cousteau and I learned Jacques was very close friends with Rene-Paul Jeanneret who was the director of Rolex and is credited for being the driving force behind the development of the Submariner and GMT. 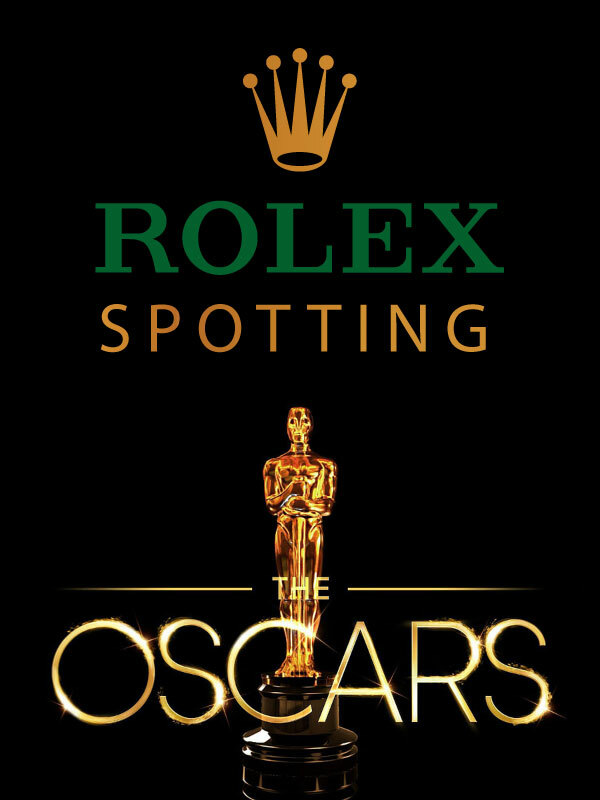 "Could it be that Rolex sponsored Cousteau's travels? 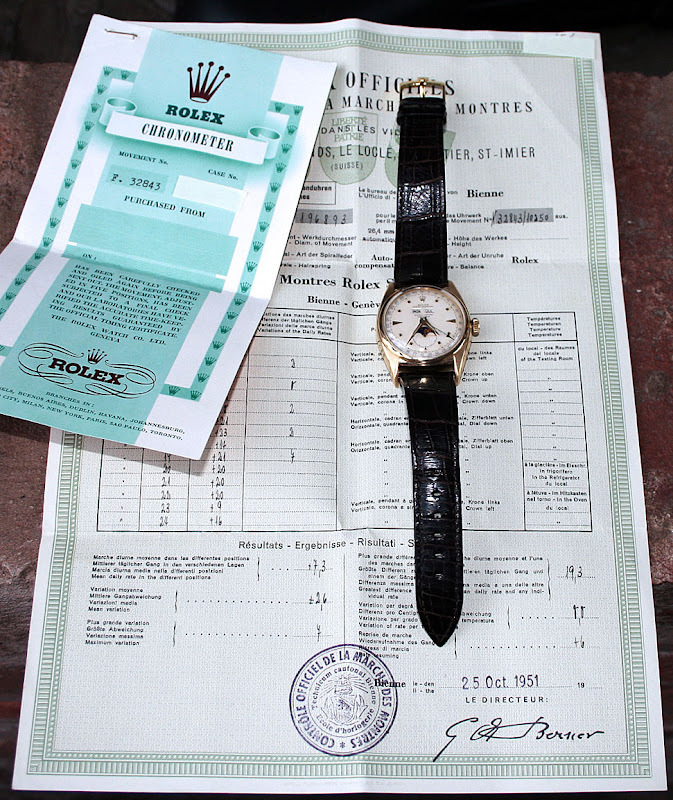 I think we will never find out as Rolex as a company is one big mystery." I have wondered the same thing and I believe I am going to answer that question sooner than later. I can't guarantee that I will be able to answer it, but intend to give it my best shot. 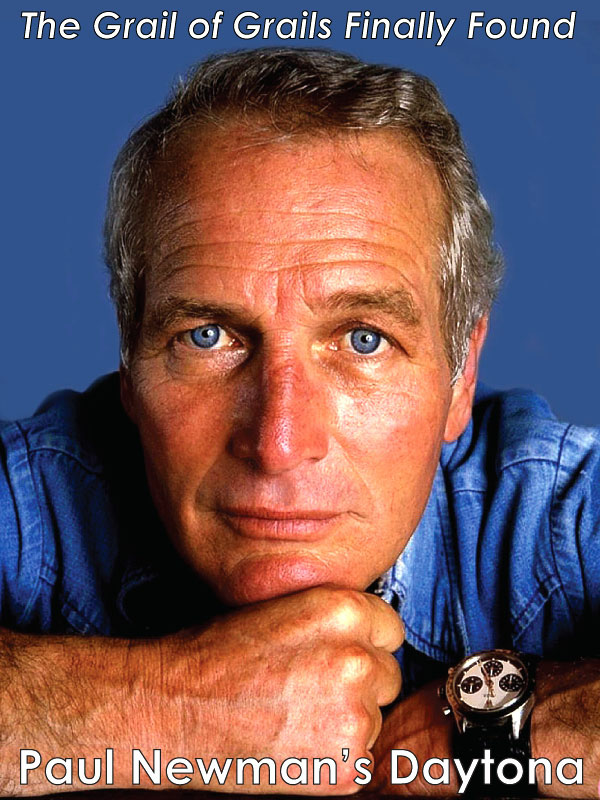 Update: Jake's Rolex Watch Blog discovered Jacques Cousteau's Rolex Submariner in March of 2009 and you can check out the article by clicking here. 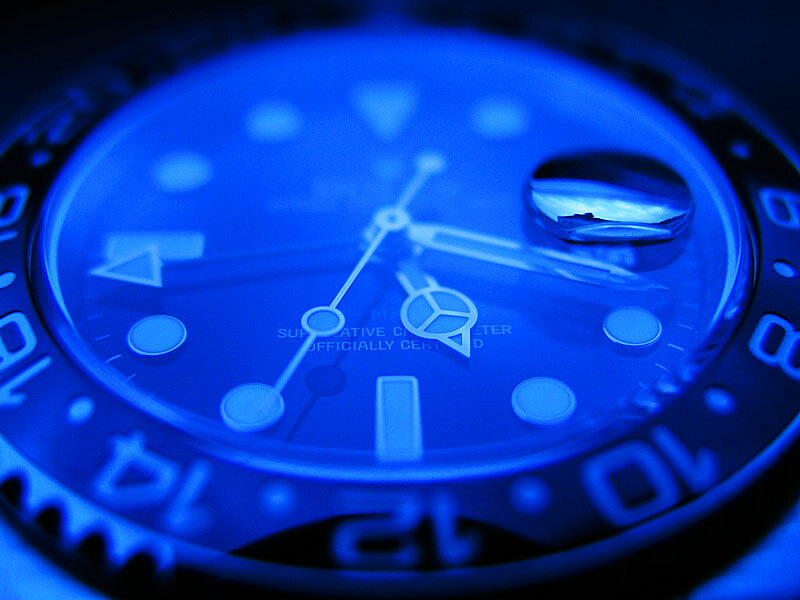 I have been diving deep (pun not intended) into the Jacques Cousteau connection with Rolex and the development of the Submariner. 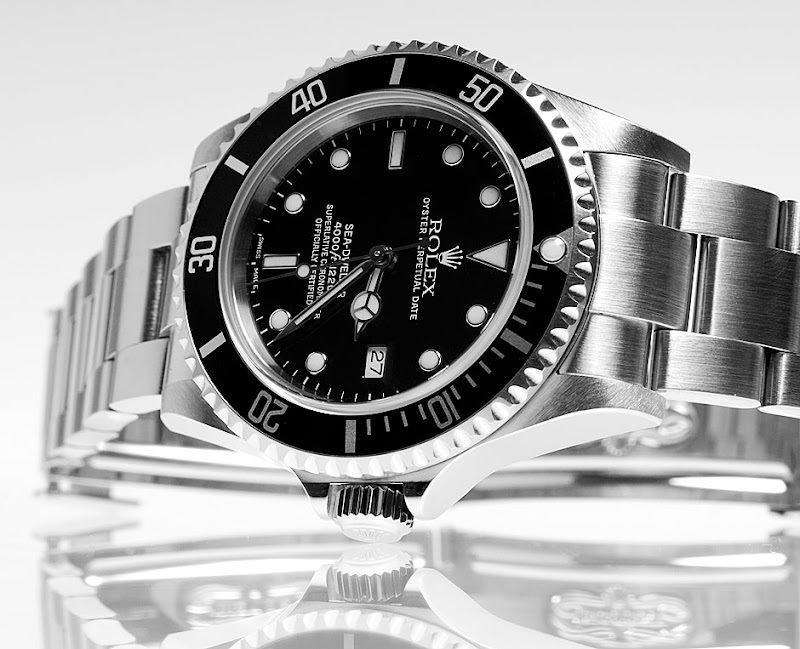 I have many leads I am following up on but I have not yet found a photo of Jacques wearing a Submariner, but here is another photo of his son Philippe Cousteau wearing his Rolex Submariner. 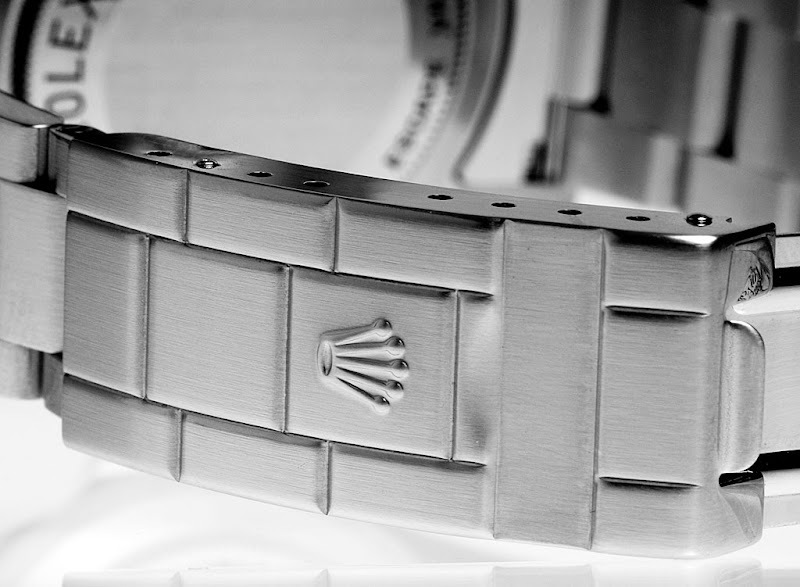 Tip: To see all the photos of Jacques Cousteua and his sons wearing Rolex watches click on the label below that says "Cousteau Family."